Hi, just started using AirDroid (desktop client) and I'm finding a lot of features aren't working for me. Notifications pop up on my Windows 7 machine but if I Dismiss them I get a message a bit later saying "Failed to dismiss "..."." I've enabled notification access for AirDroid on my S6. I'm also finding it's hit or miss for SMS sending (mostly miss). My phone isn't rooted and I'd rather not root it for these features. Any ideas? Right click on AirDroid icon > select open file location > logs and exception.Mac: Create a file named log.dll in application support/airdroid/ Open AirDroid and log in. And then Click Finder > click Go > Press Alt until Library shows > Click Library > Application Support > AirDroid. 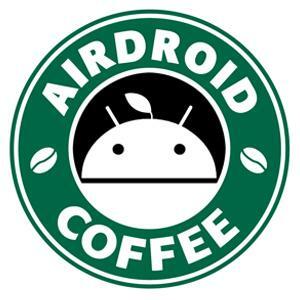 Philip Clark wrote:Hi, just started using AirDroid (desktop client) and I'm finding a lot of features aren't working for me. Notifications pop up on my Windows 7 machine but if I Dismiss them I get a message a bit later saying "Failed to dismiss "..."." I've enabled notification access for AirDroid on my S6. I'm also finding it's hit or miss for SMS sending (mostly miss). My phone isn't rooted and I'd rather not root it for these features. Any ideas? Where should I email the log? Or should I link to it here? Seems the remote connection failed. Can you try web.airdroid.com to see if it works? Not able to connect at all through web.airdroid.com, get "Connection failed. Troubleshooting guide:" etc. My S6 isn't on the same network as my laptop but both have unrestricted web access, I'm assuming a shared network isn't necessary?